Just click here to download the form for the invitations. You can click on each field and change the words once opened. Change it up to suit your wedding or event then save as a pdf file. 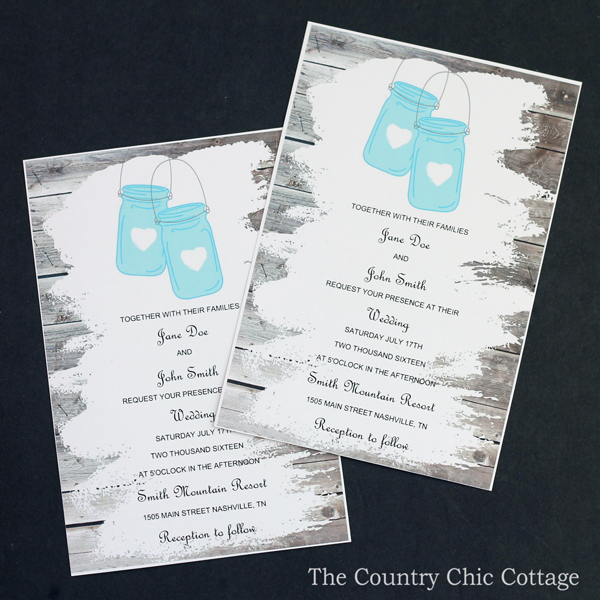 That file can then be sent to a printer who will print your gorgeous wedding invitations for you! Brilliant right? If you have trouble with the fonts, be sure to download French Script and Helvetica to your computer. 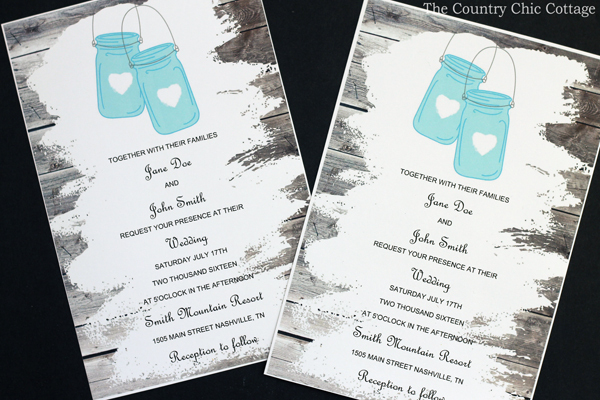 These are both free download fonts and should make your wedding invitations look just like my example. Y’all enjoy! 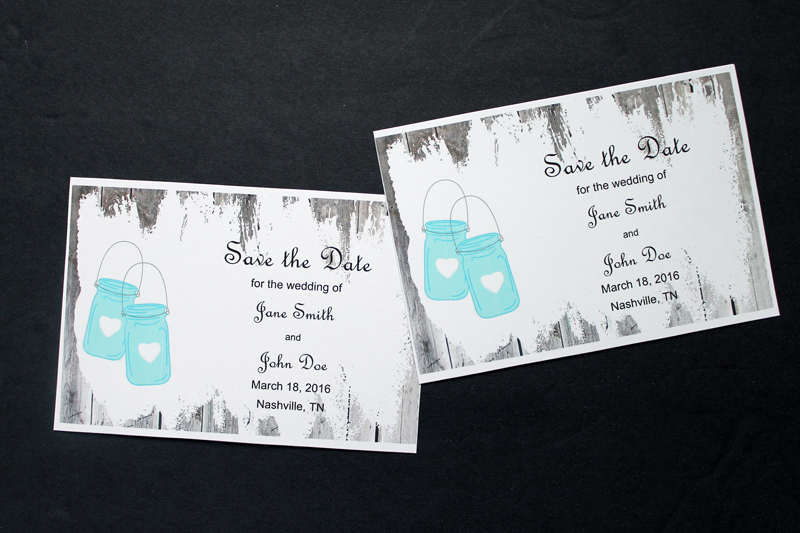 Love these and want the matching save the date cards? You can see more about those here. 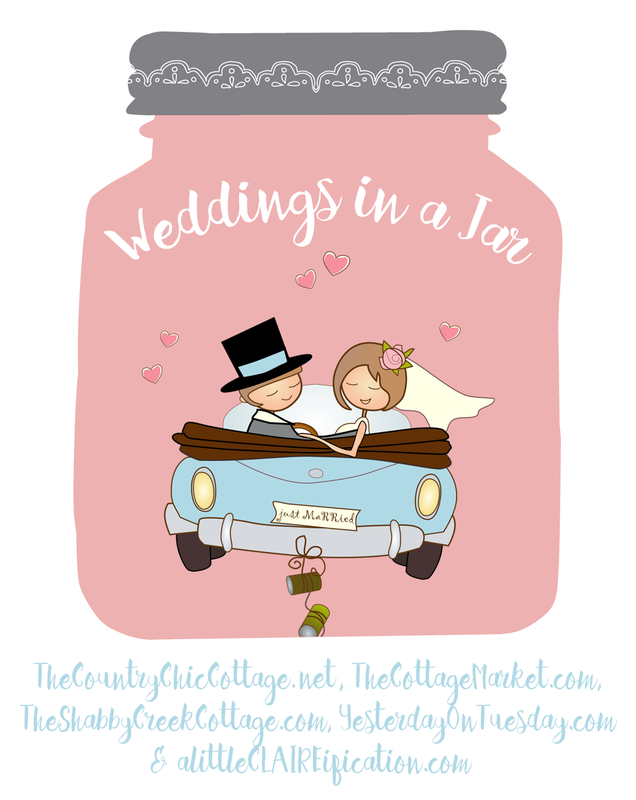 Y’all enjoy these free wedding invitations with jars and stay tuned for even more mason jar wedding ideas all week! Love this and looking for more? 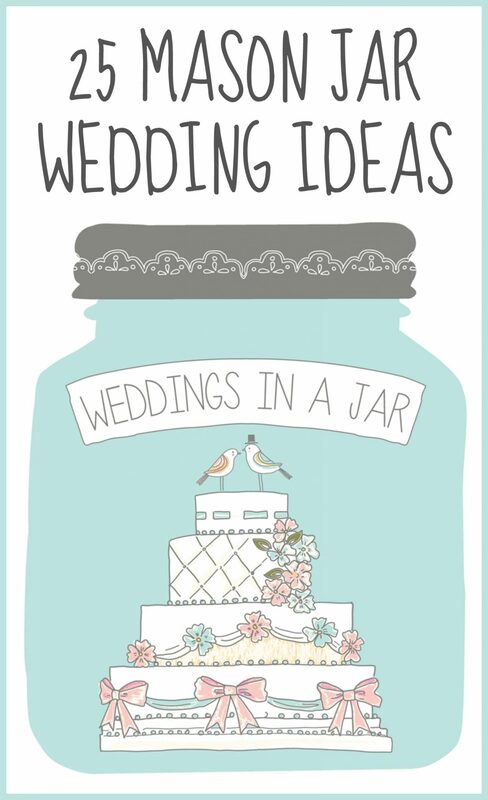 Click here for even more mason jar wedding ideas from our series last year. 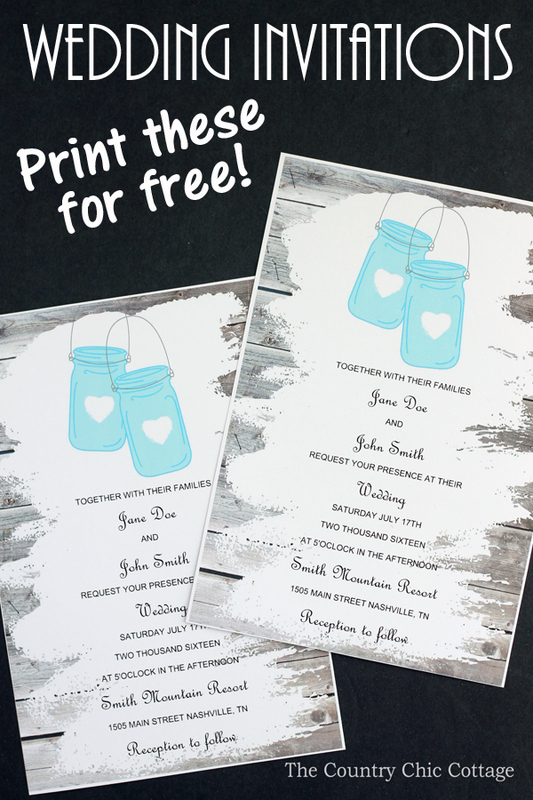 These are wonderful, but do you have a template for RSVP? I can find Save the Date and Invitation. Thanks! We’re looking to do this for my parents 50th! I don’t have an RSVP…yet! Need to do one! Is there a way to change the color of the jar? No. Sorry! There is not. Hey Katie! This is for you to print at home. Hope that helps!